Watch the Nature video about Nature Ecology & Evolution's paper 'Identifying species threat hotspots from global supply chains'. One of the major threats to biodiversity worldwide is international trade. The production of goods for export often involves logging, mining, fishing or other activities that can damage natural habitats. To figure out where the drive for these goods is coming from, researchers traced the production of goods in one country to consumers in another. 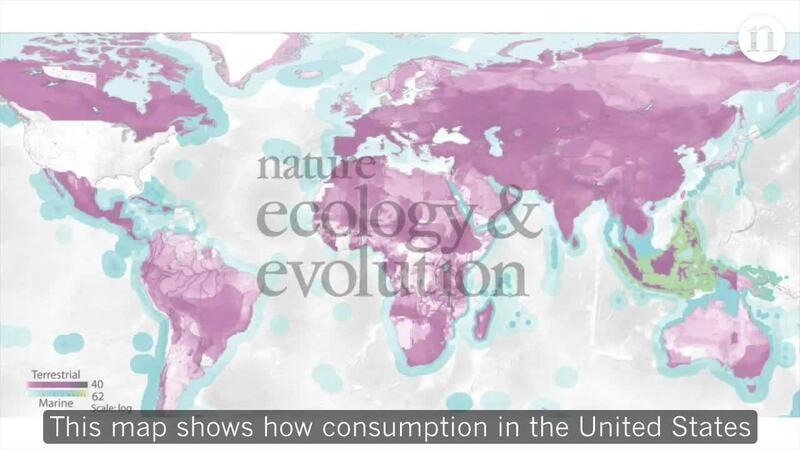 The maps in this video show how consumers in the US and Japan are endangering animal species in 'threat hotspots' around the world. You can read the full Nature Ecology & Evolution paper here.